Our team has over 15 years of experience in Webinar management. We have created hundreds of webinars that have reached consumers, businesses, non-profits, and government audiences. Webinars and online events require strategy and planning. Our team knows how to put together a strong B2B, B2G, or B2C webinar plan. .
Once you get your plan, topic, speakers and content, you need an audience. Webinar marketing is where many people and organization's fail. We know how to build lists, promote, and get people to register. . The right content, graphics, and words are essential to keep an audience engaged, and get qualified leads. With experience in dozens of industries, and hundreds of events, we know what webinar content works. .
Webinars are important marketing tools for all types of businesses. But not every company has the internal technical expertise. Let us manage your webinar. Whether it is the entire event process, or just the technical pieces, we can be a valuable resource and help make your webinars a success. .
Our team can help with every aspect of your Webinar program. From those who want to create their first Webinar, to teams with a long-established series of events, we can help improve audience acquisition, event management, technology, and more. Our experience includes creating Webinars, identifying and recruiting speakers, selecting the right technology, managing the event, moderating, and speaking as subject matter experts. We focus on creating quality Webinars that generate good results. Use our "How To Create A Webinar" guide, an introductory Webinar discussion, and our paid services to help make your events more successful. "How To Create A Webinar" is a detailed step-by-step guide that covers your initial Webinar planning, and takes your though the process of identifying a topic, speakers, and technology. The guide also identifies important activities you will need to consider such as pre-event marketing, what to do during the event, and post-event tasks. It's a great guide for beginners, as well as Webinar experts looking to refresh their knowledge. Click to request a copy of "How To Create A Webinar." Our introductory, free Webinar consultation is designed to help businesses by giving them a high-level review of their webinar event strategy and tactics. Though not meant to replace a detailed review, our preliminary analysis can provide some helpful information and get your business pointed in the right direction. Click here to get your webinar consultation started. Our growing directory of webinar service providers and platforms is FREE and available for everyone to access. We routinely test and use different software products, and place the information on our website for your review and consideration. We do not accept payment or exchanges for our reviews. Officials in government agencies at the federal, state and local level are constantly seeking information that can help them improve services or address challenges and opportunities. Webinars are a great resource for people in government. We have created successful webinars around federal government initiatives and agencies (such as FEMA, DOD, DISA, and NSA), as well as state and local government programs. If your organization or company wants to a successful B2G marketing campaign, our Webinar services can be a great asset. Consumer webinars, online events, and education or training sessions have become increasingly popular for individuals and small to mid-sized business owners. For example, you or your company may want to use webinars to educate around a product or service. Or you may want to provide people with a valuable learning session on a special technique or skill. Whatever your reason, videos are highly effective at reaching consumer audiences and growing your brand online. We can help create effective webinars and educational sessions for your business. Business to business (B2B) Webinars are rated as one of the most effective lead generation tactics with marketers. Over 66% of B2B marketers use webinars to boost brand presence and increase sales. Since Webinars came into use, the average time people spend viewing an event has increased to over 50 minutes (up from 38 minutes in 2010). 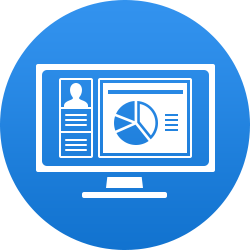 We have created and managed B2B webinars for companies such as HP, Deltek, BIA/Kelsey, and more. We know how to reach businesses audiences, and generate the sales leads you want. What Is A Virtual Roundtable B2B Webinar? Our team frequently writes about the different strategies and tactics that go into Webinars and other kinds of online events, and educational courses. Below are some upcoming and on-demand Webinars you should consider attending. With the ACT and SAT increasingly important in the college admission process, it is important to take time to prepare for these tests now. Huntington Learning Center, experts in test preparation, cordially invite you to watch a free, online discussion with our ACT and SAT test expert. The goal of this event is to discuss the college admissions process, walk through aspects of the test, discuss how to prepare for either the ACT or SAT test. Every day, millions of parents are engaged in a homework battle with their children. Although homework helps develop good study habits, parents struggle with how much is too much, and how to work through assignments with their children. During this Huntington Learning Center webinar, we are going to discuss: 1) The Homework Battle, 2) Common Problems Children Face with Homework, 3) Successful Strategies for Completing Homework. With children seeking out more activities and interests outside of school, developing effective study skills is essential to success. Without study skills, your child will not be able to manage all the demands on their time. © 2018 All rights reserved. Social Web Tactics LLC and Your Webinar Experts.